Anyone with type 2 diabetes who is looking for an alternative or new way to help manage blood glucose levels may be interested in the findings of a new study. Fenugreek, a popular culinary herb and traditional natural remedy, may deserve your consideration. For centuries, herbalists have had a high regard for fenugreek (Trigonella foenum-graecum) for various health concerns, including diabetes, gastrointestinal problems, lack of libido, and menstrual symptoms. In recent decades, scientists have explored the validity of the claims. Numerous previous studies have examined the benefits of fenugreek in type 2 diabetes. Now the authors of a new meta-analysis of 10 past clinical trials have reported their conclusions after reviewing all the data. The investigators evaluated data from trials that compared fenugreek alone with placebo or no treatment and reported the impact on fasting blood glucose, 2-hour postload glucose, fasting serum insulin levels, and/or hemoglobin A1c (HbA1c) levels. A total of 278 individuals were in the studies. The daily dose of fenugreek used in the studies ranged from 1 to 100 grams (average, 25 g), and the studies lasted from 10 to 84 days. All of the trials involved use of fenugreek as either powdered seeds, debitterized powdered seeds, or an alcohol extract provided in capsules or in leavened bread. Doses were taken 2 to 3 times daily. The authors of the meta-analysis suggested that use of fenugreek seeds may assist with improved glycemic control in individuals with type 2 diabetes on the same scale as intensive lifestyle or medication treatment added to standard treatment. Fenugreek is affordable and widely available, including areas of the world where medical treatment is scarce. Therefore, “fenugreek may be a promising complementary option for the clinical management of diabetes,” according to the authors, who recommended using a standardized fenugreek product (standardized to saponins at 50%) at a dose of at least 5 g daily. They also recommended scientists conduct additional research of fenugreek using at least 100 patients with diabetes for a three-month or longer trial. 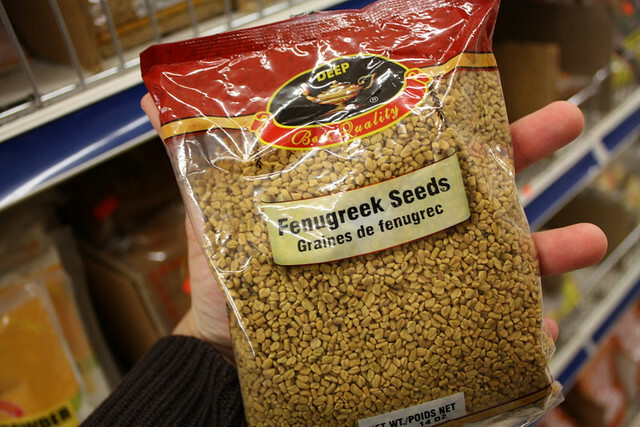 Fenugreek supplements are available at natural food and supplement stores and online, but be sure to buy from reputable suppliers only. If you want to take fenugreek for blood glucose control, be sure to consult with your healthcare professional before you begin taking the herbal remedy.